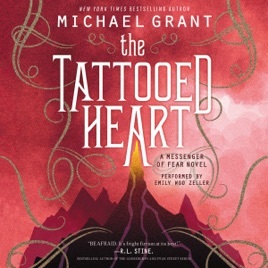 The games continue in New York Times bestselling author Michael Grant's sequel to Messenger of Fear—a haunting tale for fans of Stephen King that combines fantasy with real-world horror stories. Mara has learned to punish the wicked as the Messenger's apprentice. Those who act out of selfishness and greed, and others who become violent because of prejudice and hate, pay the ultimate price. But Mara is constantly reminded that Messengers are serving their own kind of punishment—for every person who is offered justice, they wear a tattoo that symbolizes the heart of the crime. As Mara delves deeper into her harsh reality she will discover that in spite of all the terror she and Messenger inflict, caring in this world is the hardest part of all.